Self Cure Remedy details of Apply papaya paste for the care and relief of Acne, including effectiveness and popularity scores of the remedy. 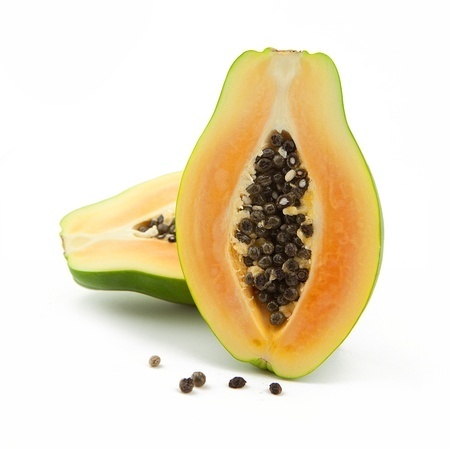 Papaya contains lycopene, which protects skin from the free radicals that cause acne. It also contains papain and chymopapain, two enzymes with anti-fungal, antibacterial, and antiviral properties. They exfoliate to unclog pores, and they provide the proteins skin needs to fight the formation of acne. Cut ripe papaya into chunks and blend until smooth. Apply papaya paste to skin and leave it on for 30 minutes. Rinse with warm water, pat dry, and apply natural moisturizer. The self cure remedy of Apply papaya paste for the care and relief of Acne has an effectiveness score of 1.0 and a popularity score of 43 on the self-cure system.